We’ve all heard the saying…. “When one door closes another one opens.” Right?? But when that door closes sometimes you don’t feel all warm and fuzzy. You feel like screaming “Who shut the front door!! !” So how exactly do you find peace in the door shutting (especially when it is totally out of your control that the door shut). Well, let me take you on a little walk in my world this last little while. I was cruising down the Sunset Boulevard wearing my cutest, strappiest sandals and feeling quite fantastic about my life in general…. Then BAM out of no where, right in the middle of the sidewalk there was a HUGE door…. Weird right? As far as I knew, I didn’t put up this door. But, I couldn’t open the door. I tried to go around the door but it just didn’t work. I knocked and I knocked and I knocked but no one answered. I tried kicking the door a few times but that didn’t work either. So I sat down on the cute little bench overlooking the ocean and I breathed. (Exhaling A LOT!) Little by little I noticed the beauty around me and forgot about the obsession I had in going through that door. I could feel my heart beat and I began to listen to it. Then I started hearing the song in my heart again. Calm was returning and peace was settling in to my being. Messages began to come to me and one morning, after listening to these messages and taking action (VERY IMPORTANT to take inspiraction… that is to take action on your inspiration! ), I found myself sitting in front of a sweet woman I had met about 6 months ago in my little circle of love that I regularly take part in. I had reached out to her because I wanted some advice on some personal stuff I was working through and the voices from my soul had been directing me to call her. Now when you do this… sometimes the conversation starts out a little awkward “Oh hi!! I don’t know why we’re sitting down together but my heart said to call you so here we are…” LOL. It’s always good to have a sense of humor when listening to inspiration and taking inspiraction. I had wanted to get to know her a little better anyway so we were having a lovely conversation as I asked questions to get to know her better. Halfway through our wonderful chat she stopped abruptly…. leaned in closer to me and said… “I don’t know why I’m asking you this but have you ever considered getting back into the mortgage industry?” and the sound of “Nnnnooo……hmmmmmmm…” came back as a response from me. I quickly shut my mouth. I promptly tuned into my “feelings and emotions” and found an overwhelming excitement bubbling up from my toes and wanting to burst out of me. I took a moment to breathe it all in and then told her I needed to ponder this for a little bit. As I again set out on a journey the quote from T.S. Eliot begins to ring true in my heart once more!! “We shall not cease from exploration, and at the end of all our exploring will be to arrive where we started and know the place for the first time.” So here I am at a NEW door that is wide open with possibility!!! I’m so excited to JUMP back in to the mortgage industry with the new confidence, passion and wisdom my 5 year sabbatical has given me. I will continue to do trainings, workshops and keynote speaking on inspiration, motivation, redefining yourself and shifting the drip right alongside with how to improve your credit score, get more clients and start your rental portfolio!!! I’m so thrilled to now be able to really bring all of this passion back to the industry that feels like HOME to me. I spent over 15 years of high paced, wild ride, hair pulling fun in this crazy mortgage world and it’s good to say I’m back…. I’ve come home. I feel this is the perfect place for me because my number one passion is to be a cheerleader for the soul in everything I do. My theme for this chapter in my life is is…. Whether this means you are looking to purchase or refinance your home, take your business to a new level of SOUL filled passion or find more Joy in your everyday life…. stay tuned to see just how much SYNERGY this girl can create!!! Thank you to everyone that walks this journey with me. You all play such a huge part without even knowing it. You may be the person that closed the door, you may be the person that wouldn’t answer the door, you might be the person shouting from another door to come on over, you may be the person happily waving your encouragement from your front door. It’s just so true that as one door closes, another one will open! I challenge you to look at your life and see what doors have been shut for you and then sit down on your own little bench to begin to listen to the song in your heart again! It’s amazing what we can not do alone, we can do together. Let’s create something magical!!! 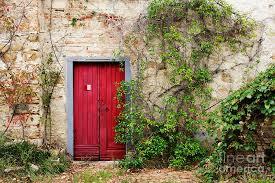 Cheers to all the many doors in our lives…. Opened or closed….. it’s all about the continued journey!!! Cheers to the doors of possibility. Stay tuned for even more exciting news soon from the dynamic team of Trent and Sheri!!! Heehee…. I’m just bursting with JOY (think cute little blue haired excited character that runs around in your head…. ) so excited, so excited!!! !